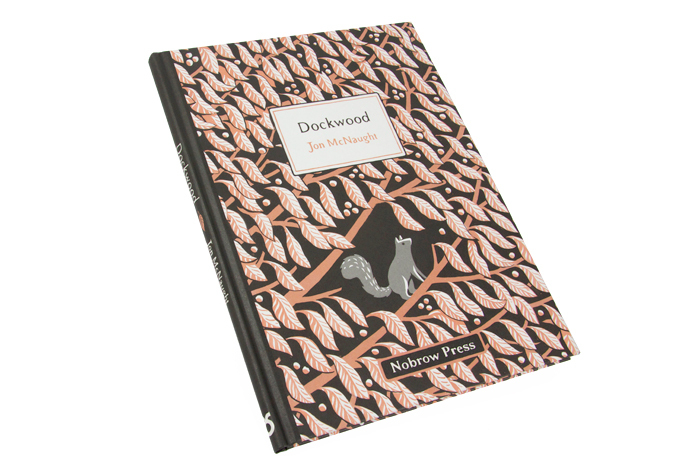 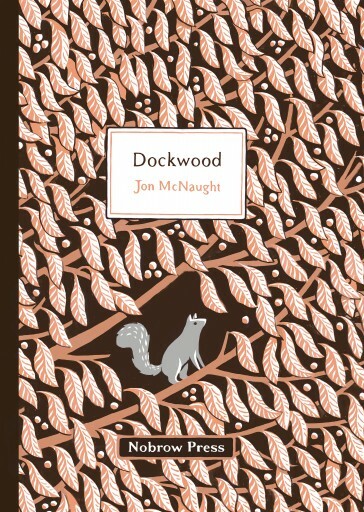 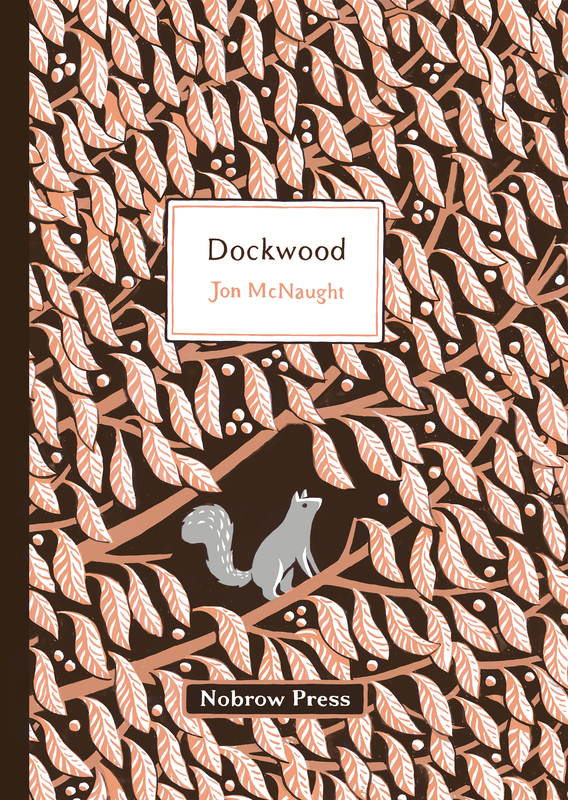 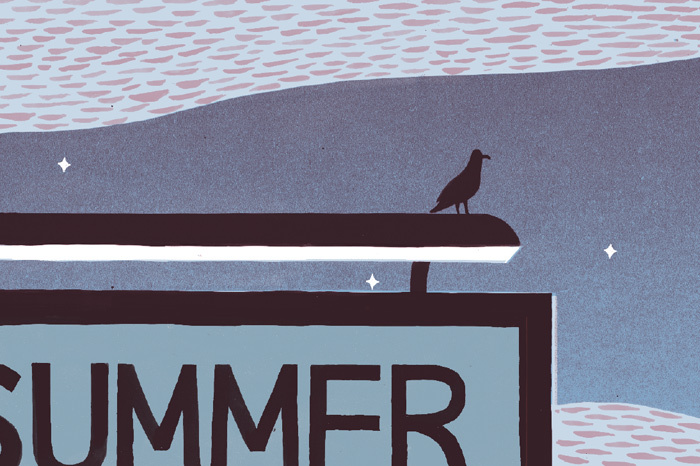 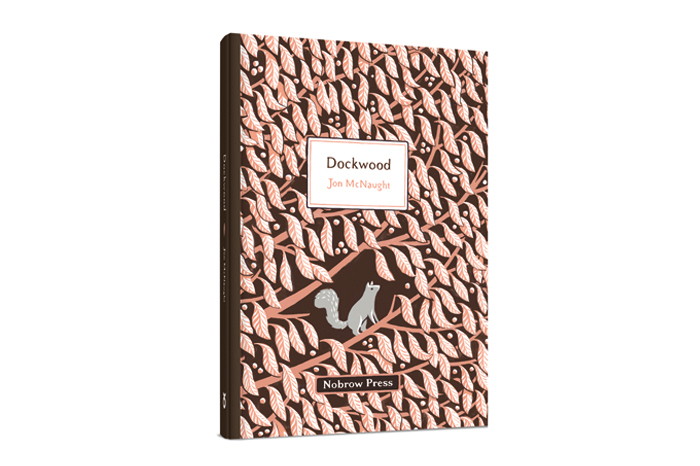 “There are few younger comics artists with whom I feel a genuine aesthetic kinship, but the radiant and glowing Dockwood is Jon McNaught’s loveliest argument yet for the beauty of just being alive. 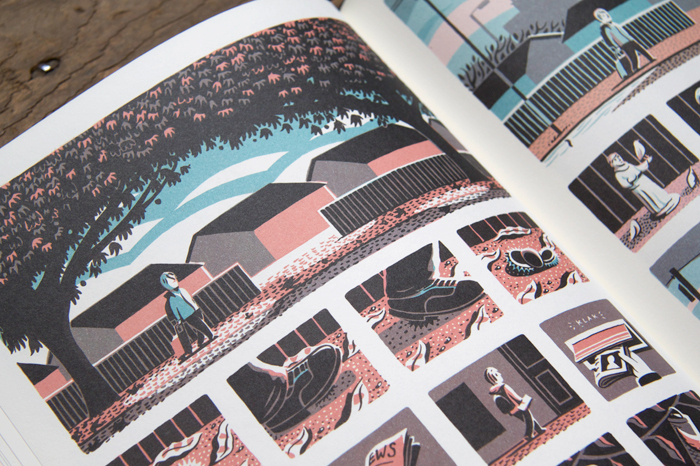 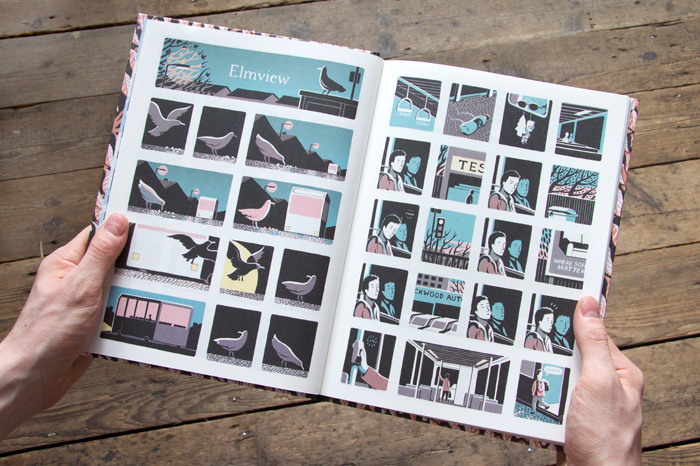 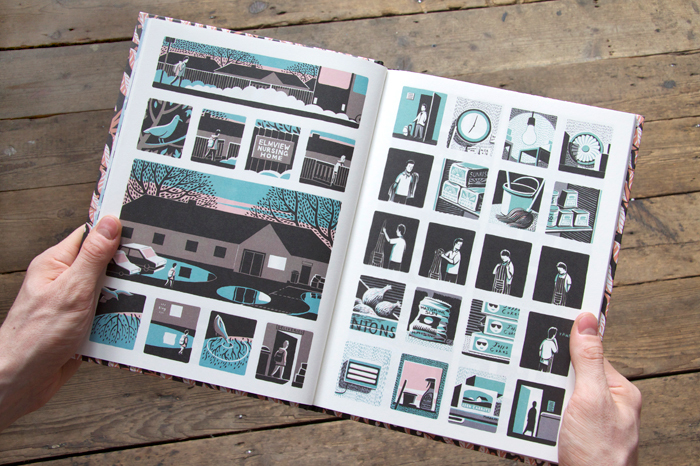 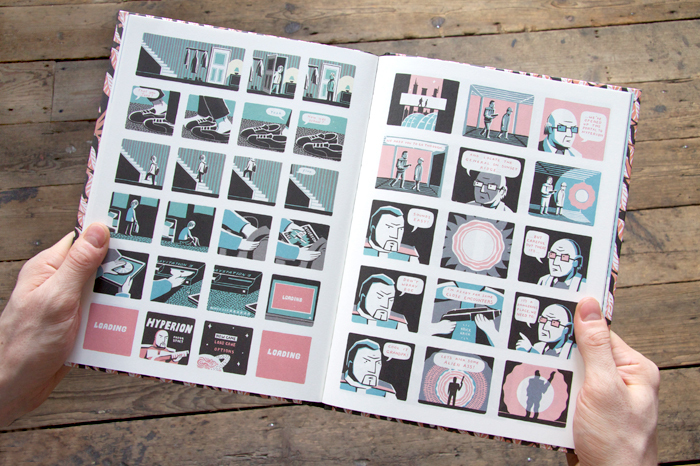 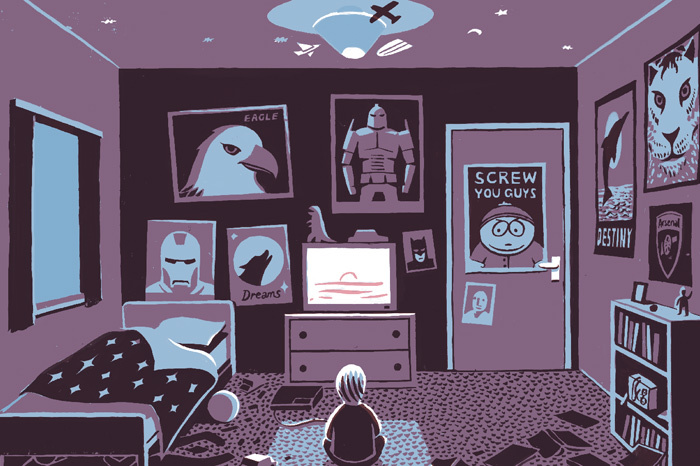 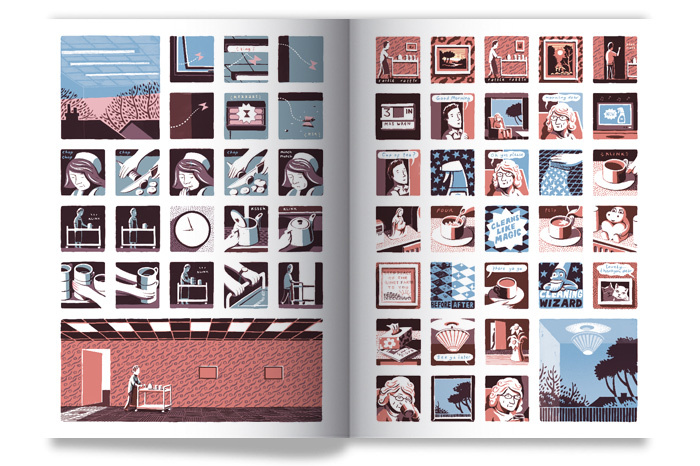 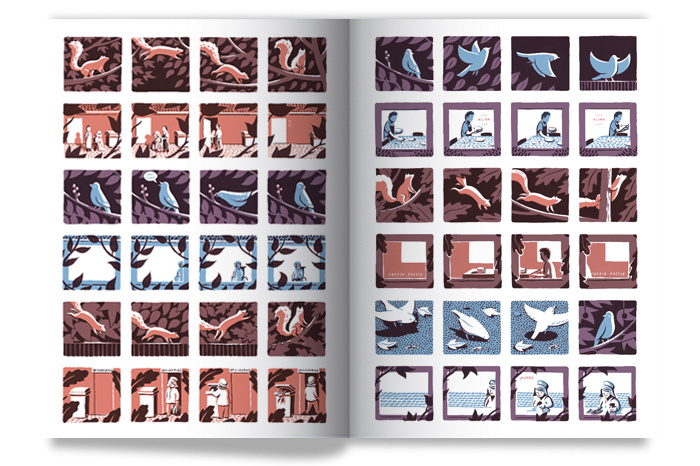 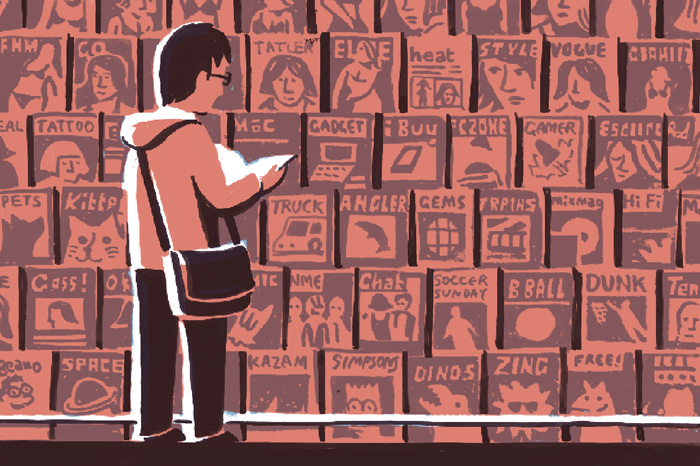 It’s a gem.” Chris Ware, author of Jimmy Corrigan and Building Stories. 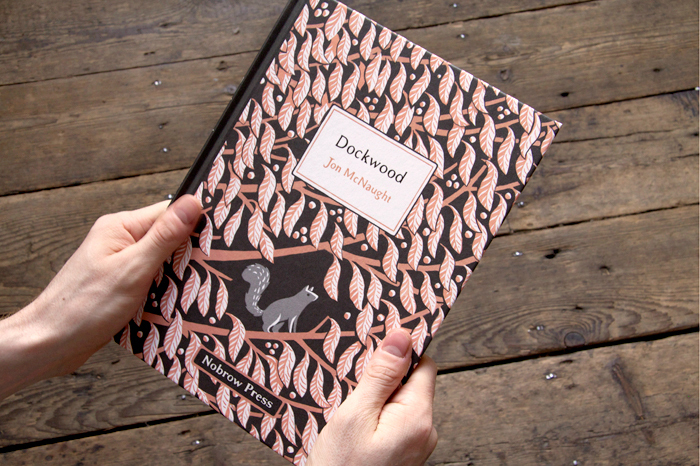 Dockwood is a small town in South East England, population 26,000. 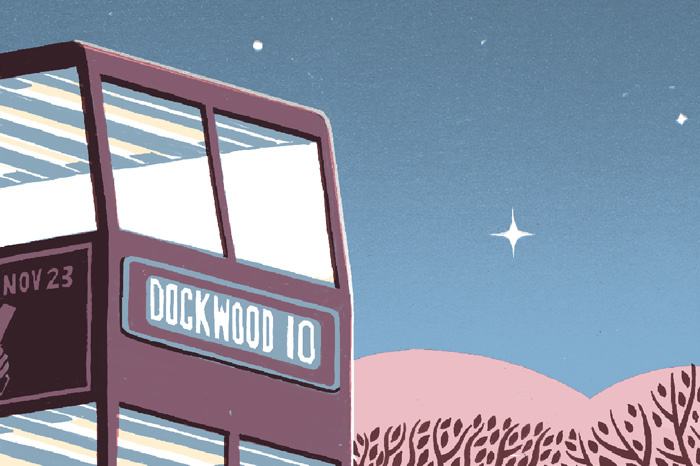 It is home to a bowling alley, a boating lake and Willowbrook Outlet Village. 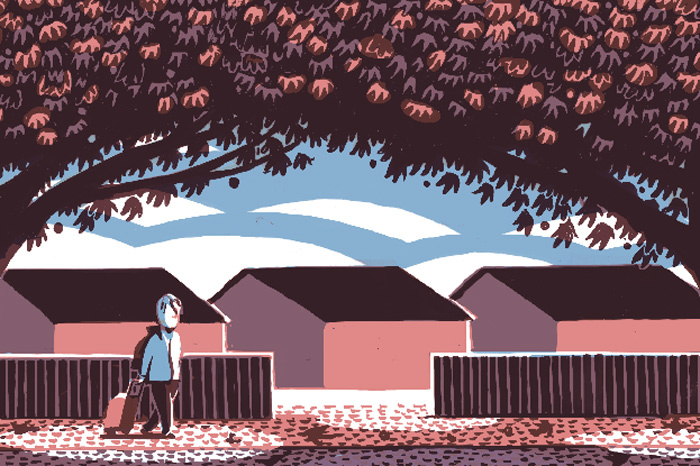 It’s a cloudy Tuesday in October and the residents of the town are going about their business as usual. 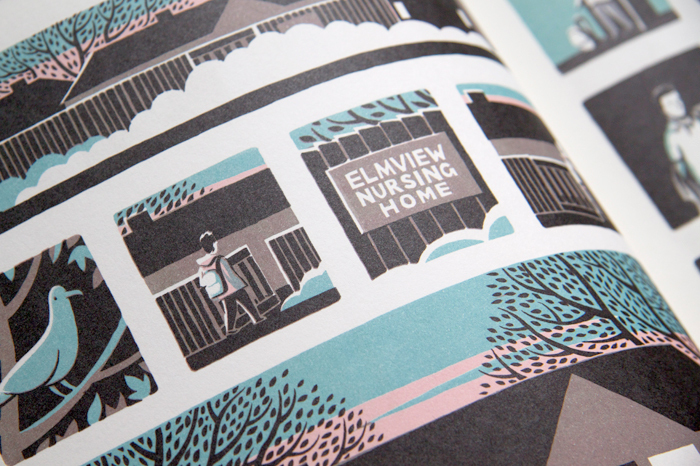 In Elmsview Nursing Home, a kitchen porter dutifully prepares lunch for residents. 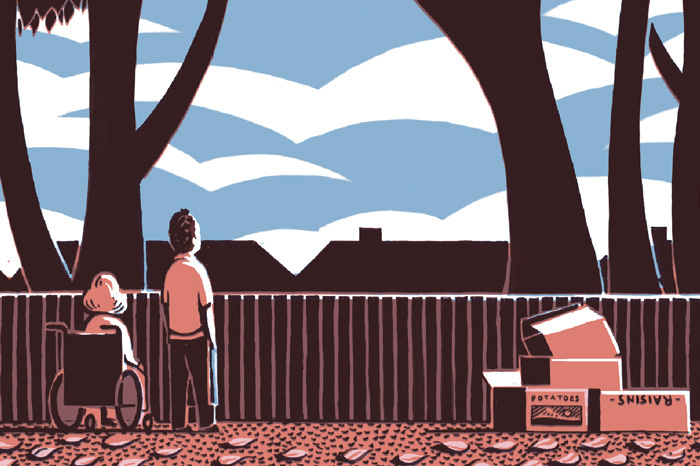 Elsewhere, a council worker sweeps the fallen leaves from the pavements. 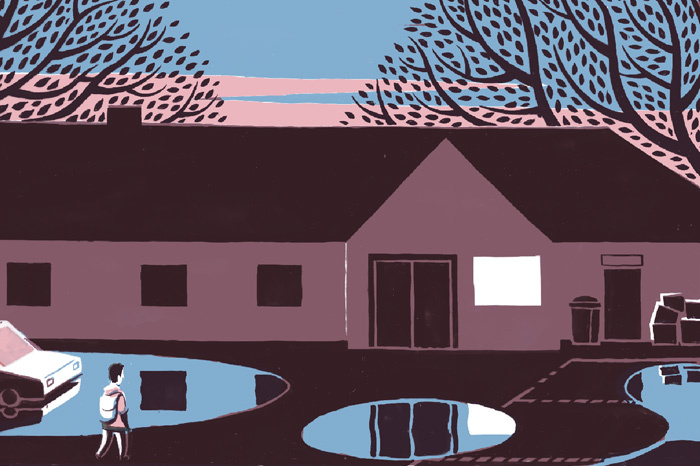 Along Nettlefield Road, a paperboy is delivering his daily round. 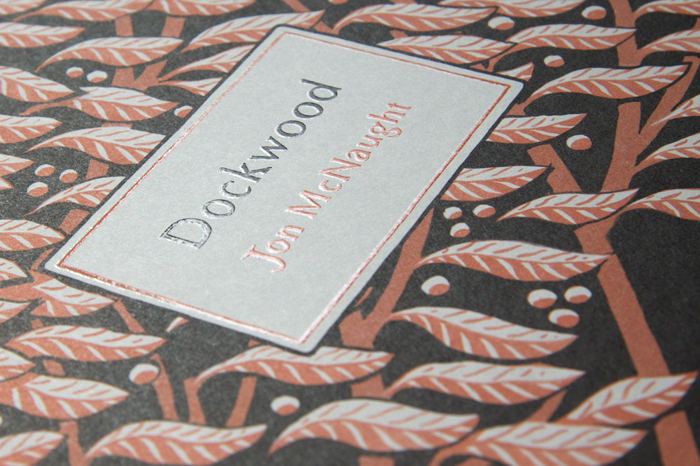 And in the trees, swallows gather noisily in preparation for their annual migration. 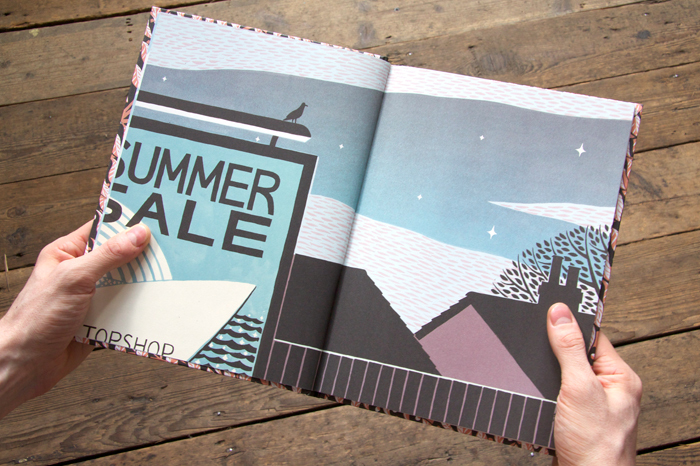 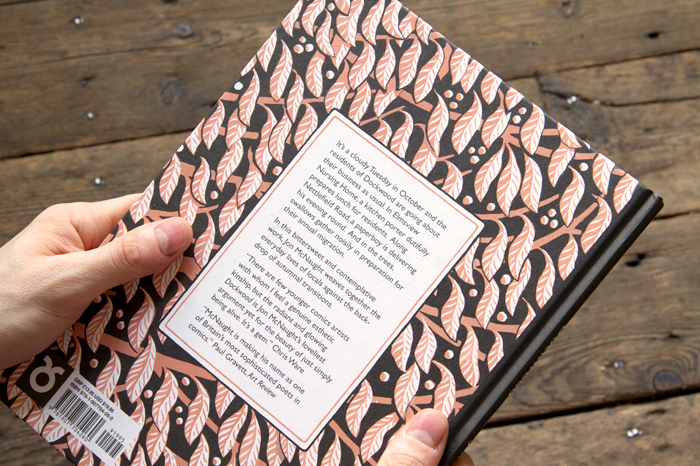 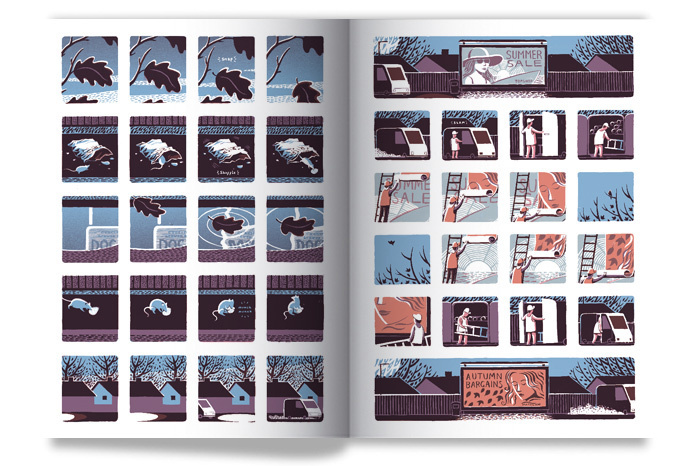 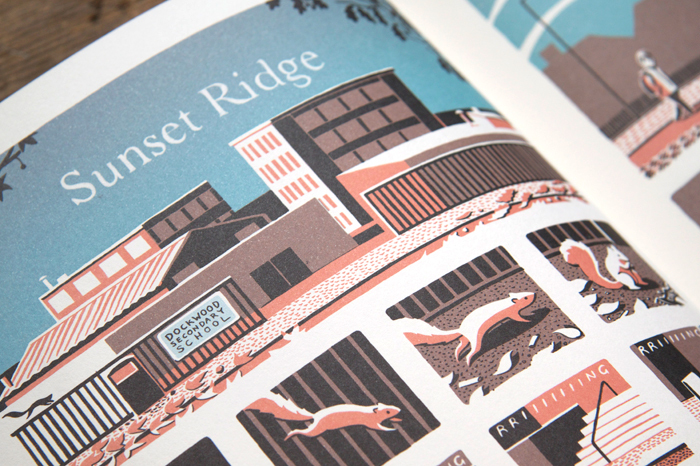 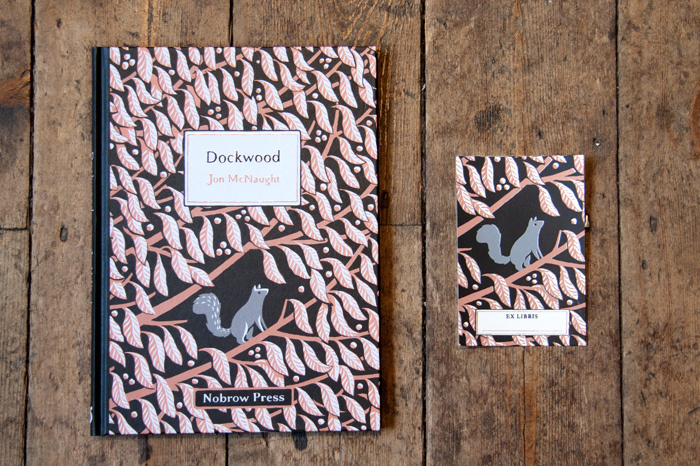 Jon McNaught is a Ignatz-nominated cartoonist and printmaker living in Bristol. 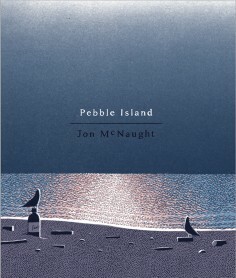 He also works as a printmaking instructor at the University of the West of England. 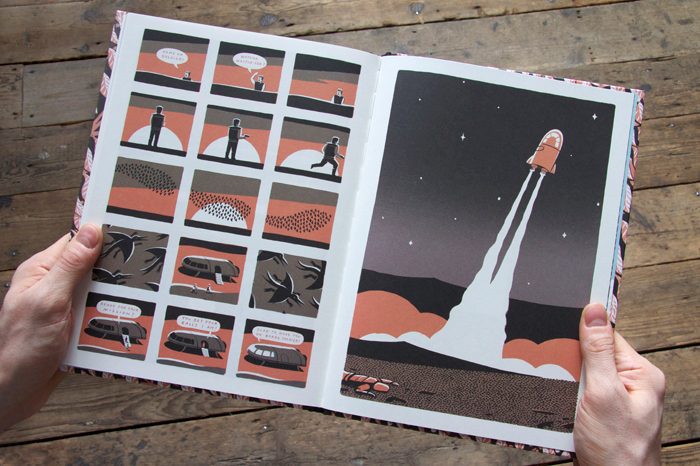 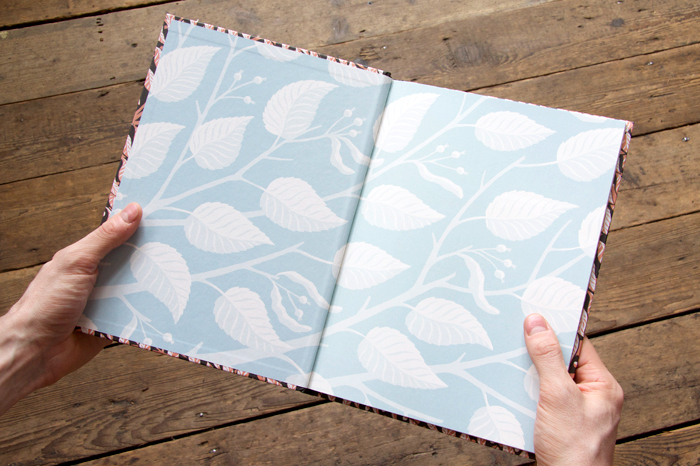 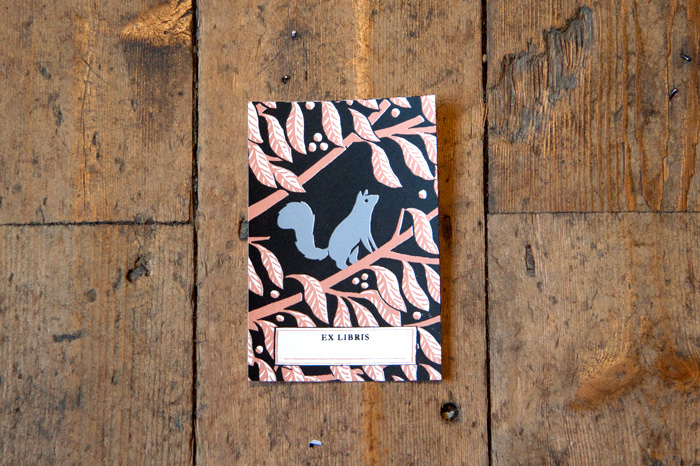 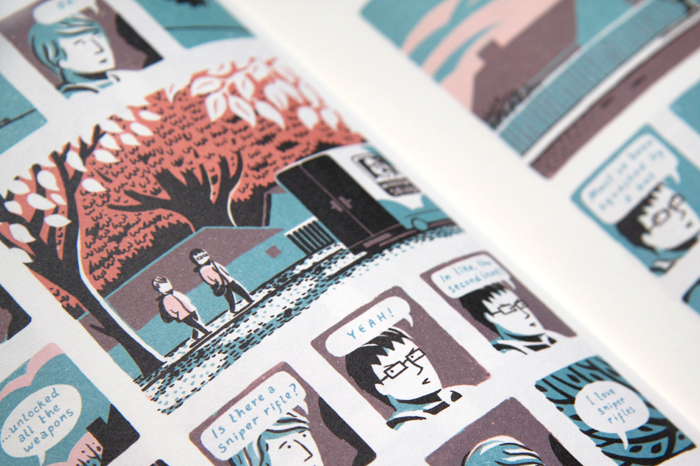 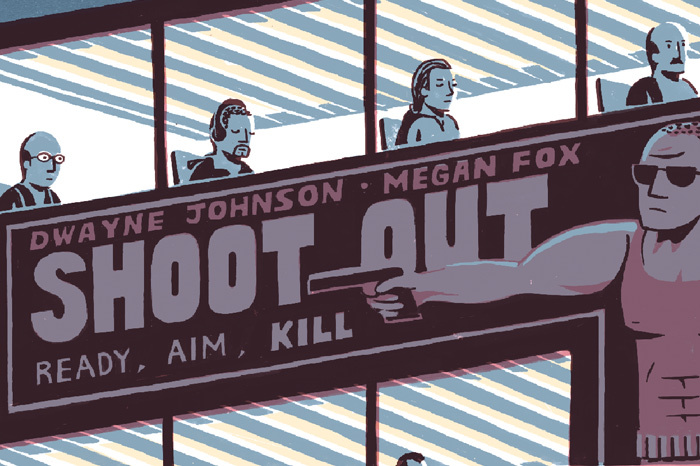 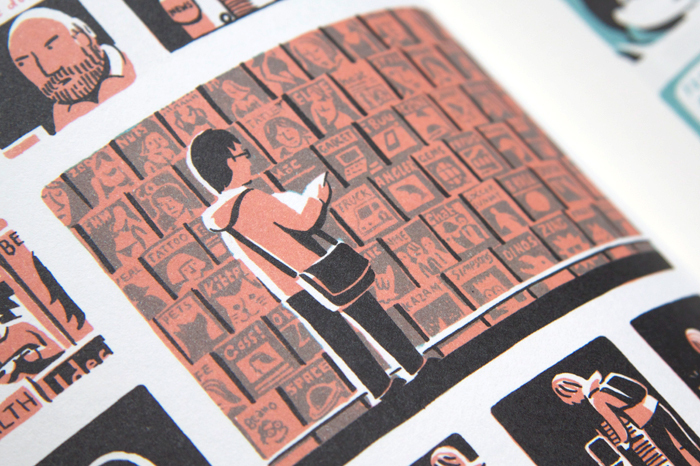 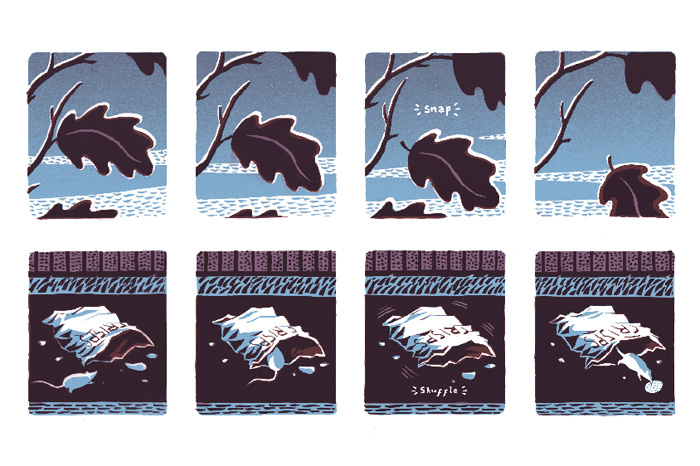 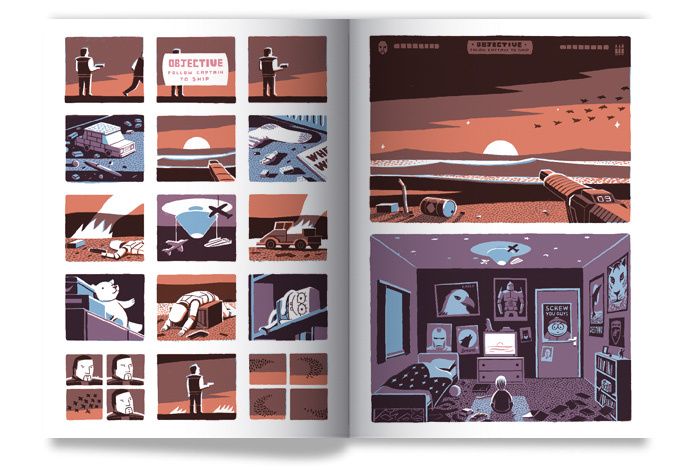 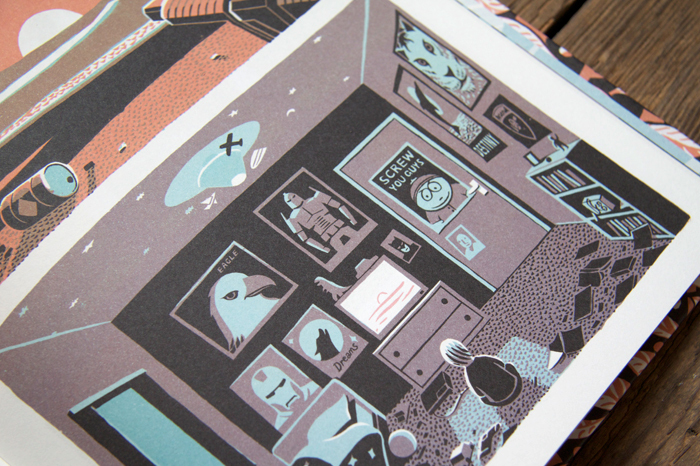 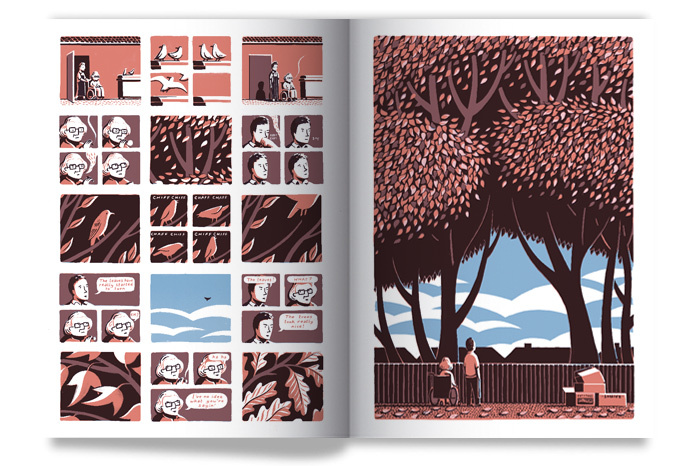 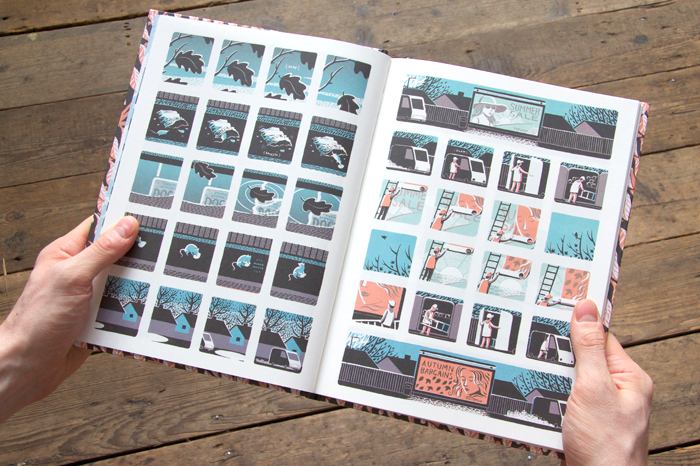 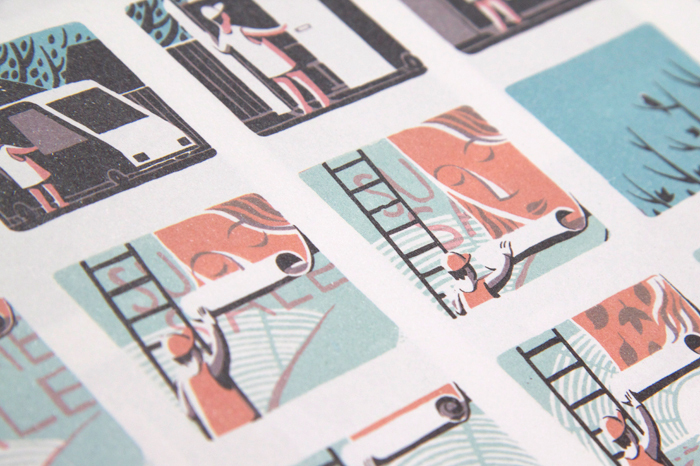 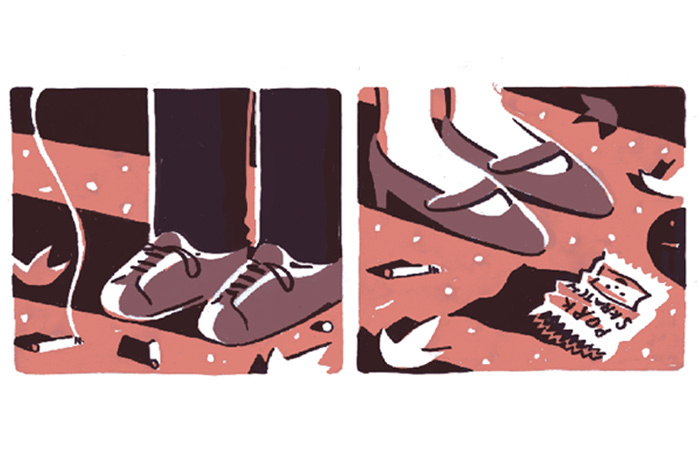 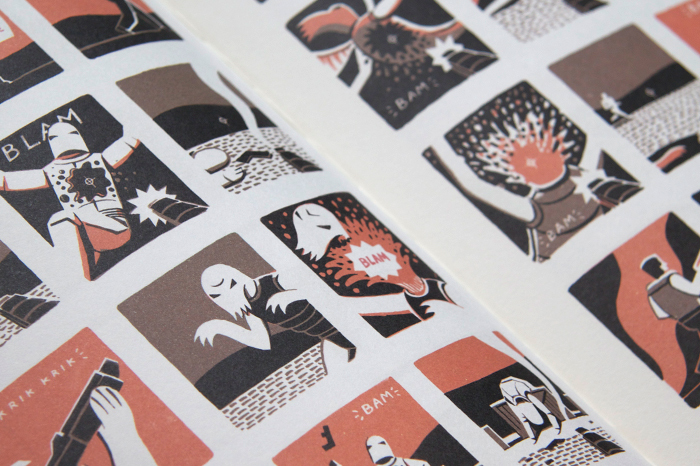 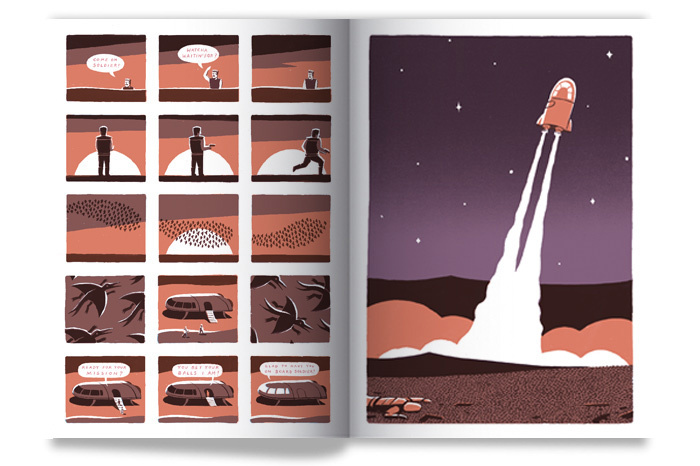 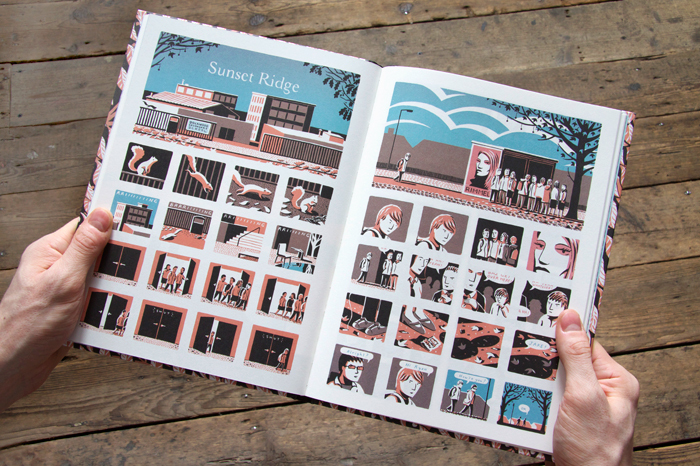 He has produced comic strips for Nobrow, Art Review and Stripburger, among others. 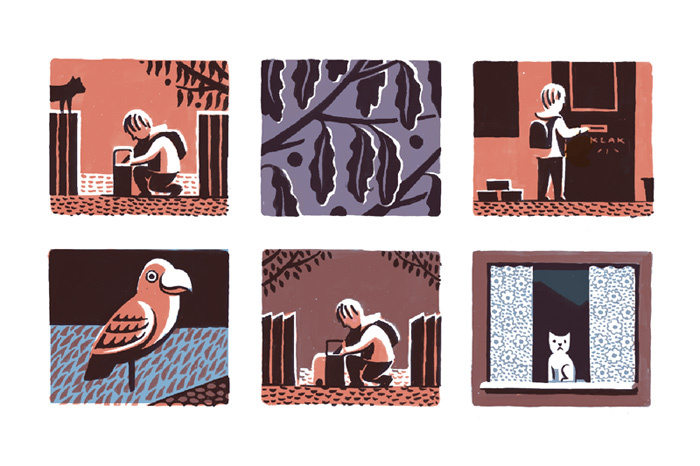 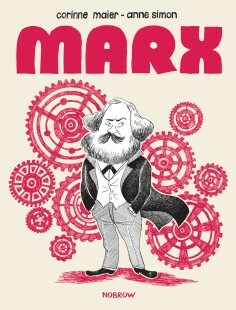 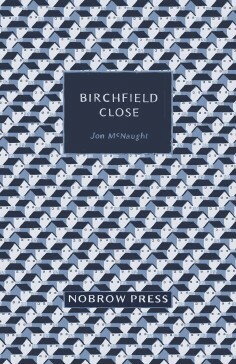 His first book Birchfield Close was published in 2010 by Nobrow Press, followed shortly by Pebble Island, both received wide critical acclaim and have earned him plaudits from some of the world’s foremost cartoonists.